Nurses, doctors, occupational therapists and support staff came together on Friday 25 January to celebrate their Positive Practice Award win. 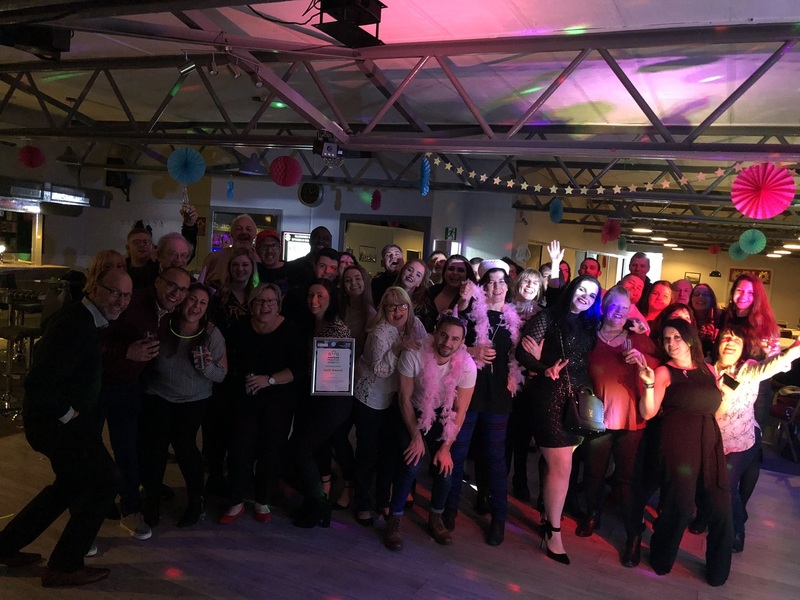 Staff at Woodlands Centre for Acute Care, in Hastings, won the gold award in the Clinical Team Award category, at Sussex Partnership NHS Foundation Trust’s Positive Practice Awards ceremony back in November 2018. Sussex Partnership NHS Foundation Trust provides specialist mental health and learning disability healthcare to people of all ages across Sussex. Their Positive Practice Awards shine a well-deserved spotlight on staff who have gone above and beyond in providing first class services and care for the people they serve, and the Clinical Team Award recognises clinical teams which have made an outstanding contribution by going ‘the extra mile’. The team were so blown away with their win that they decided to hold a party so that everyone working at the unit could come together and celebrate in style. Christine Henham, Clinical Operational Nurse Manager at Woodlands, said: “It was a huge honour for Woodlands to have won the Clinical Team Award at last year’s Positive Practice Awards. The win means so much to us and created such a buzz around the unit. “We work in partnership with services around us with open minds and hearts, and with the needs of the people we look after at the forefront of our developments. For us, it is all about relationships, both building and maintaining, if it needs saying we will say it, if it needs doing we will do it. We will always challenge stigma towards mental health and advocate for those who need us most. This award rewards all of our endeavours across our entire staff group, which is why we felt it was so important for us to celebrate together.